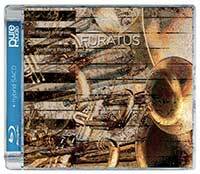 Ove Edvard Antonsen is Norway’s leading trumpeter and his colleague on this recital disc, Furatus, is Wolfgang Plagge, a Norwegian piano virtuoso. The title of this collection of pieces all originally written for different instrumental groupings, literally means “stolen” or “plundered,” as in the case of composers or musicians taking someone else’s composition and presenting it as their own. Of course there is a long tradition of composers “borrowing” from other composers (Bach certainly did this on numerous occasions. The playlist that follows presents the “stolen” pieces arranged for the trumpet-piano duo. Edvard Grieg stands out as the best-known Norwegian composer and the five-movement Holberg Suite was dedicated to the memory of Danish-Norwegian playwright Ludvig Holberg. It was originally composed for solo piano but became better known in its orchestral form. Grieg traveled back to the Baroque period and created music typical of the dance forms of that era.Kosaku Yamada was one 20th-century Japan’s leading composers and conductors and wrote more than 1600 works. The three songs in this collection, Koto, Akatonbo (Dragonfly), and Nobara (Wild Rose) all bear the stamp of traditional Japanese folk songs with Antonsen’s trumpet assuming the role of the human voice. Dmitry Shostakovich was a leading composer in 20th-century Russia and these three brief dances, March, Waltz, and Polka are excellent examples of his keen ear for the rhythms of dance and lend themselves quite well to the trumpet-piano duo. Geirr Tveitt was one of Norway’s most eminent composers of the last century. In the Hardingtonar, Tveitt arranges these five folksongs in a more contemporary idiom, and, in fact, Antonsen and Plagge improvise further on three of them. Carl Nielsen holds the place of pride among Danish composers with a career that bridged both 19th and 20th centuries. The six bagatelles of Humoresque began as brief piano pieces, but their relatively high tessitura makes them a perfect match for the addition of a piccolo trumpet. The final bagatelle, Spillevarket (The Musical Clock) is very much in the vein of Rimsky-Korsakov’s Flight of the Bumblebee. 2L now does its masters in DXD audio (352.8kHz/24-bit) and, in this recording, the masters were mixed down to a 5.1 DTS-HD Master Audio and a 2-channel LPCM (both at 192kHz/24-bit resolution). 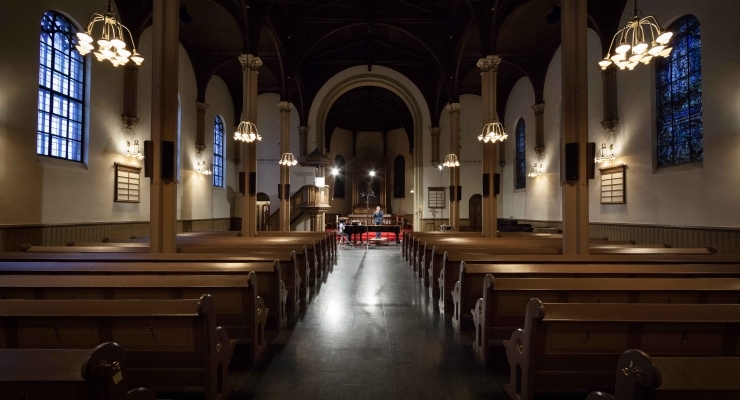 The Grieg and Yamada works were recorded in Sofienberg Church and the Shostakovich, Tveitt, and Nielsen pieces were recorded the Jar Church, both Norwegian venues favored by Morten Lindberg’s team. The sonorities of both sites are very favorable to solo instruments and the rendering of both trumpet and piano sounded very natural. The surround and two-channel versions are superb with the former producing more airiness. A hybrid multi-channel SACD and mShuttle downloads in MP3 and MQA formats are included. The program booklet presents performing and production credits, background essays on the pieces and composers by the performers, and some recording session photos. While nearly an hour of an unusual instrumental might sound like overkill, the quality of these performances and the brilliant arrangements of the “stolen” music make for a program that moves quite rapidly. 2L delivers yet another state-of-the-art recording that is highly recommended and will introduce many listeners to mostly unfamiliar repertory that is well worth discovering. A first-rate and eclectic recital of music specially arranged for trumpet and piano that is delivered by two virtuosi in state-of-the-art sound.